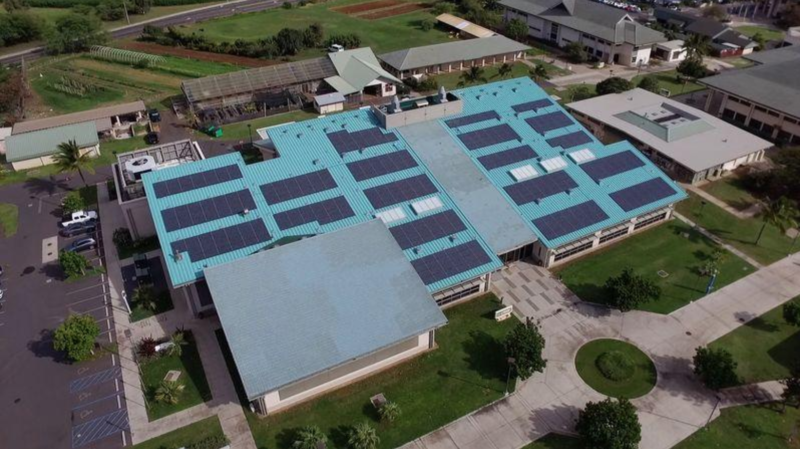 NEW YORK, March 20 (Thomson Reuters Foundation) – A campus in Hawaii is joining a handful of U.S. colleges and universities aiming to use 100 percent renewable energy, it said on Tuesday, part of a growing nationwide trend of schools going green. The move by the University of Hawaii campus on Maui island is forward-looking and makes economic sense given the cost of fuel on the remote Pacific archipelago of islands and atolls, said Michael Unebasmi, a university spokesman. With plans to replace oil-based electricity from a utility with solar panels, Maui College joins a handful of U.S. schools such as Hampshire College in Amherst, Massachusetts and the University of New Hampshire’s main Durham campus. The decision puts Maui College “at the leading edge,” Unebasmi told the Thomson Reuters Foundation. “We thought by doing this it would be a great example,” he said. The network of solar panels will fuel the needs of the 78-acre (32 hectares) grounds by 2019, he said. With a reliance on fossil fuels, Hawaii has particularly high energy prices of more than twice the national average, according to U.S. Energy Information Administration data. The push by U.S. schools moving away from polluting sources of electricity has picked up pace, said Bronte Payne at the Denver-based non-profit Environment America. About half a dozen colleges and universities have announced commitments over the last two years to use renewable energy sources rather than planet-warming fossil fuel, she told the Foundation. Largest among them are Boston University, Colorado State University and Cornell University, she said. 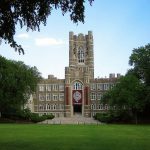 More than 500 other colleges and universities are aiming for carbon neutrality, offsetting the use of fossil fuel with renewable energy or so-called carbon credits from low-level producers of greenhouse gases. “They will set an example for communities across the country,” she said. Cornell, in western New York state, aims to replace its on-campus natural gas power plant with a mix of solar and enhanced geothermal energy by 2035, said Sarah Zemanick, director of its campus sustainability office. The main campus in Ithaca, with some 22,000 students, stretches across 745 acres (301 hectares). 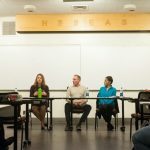 “We’re at the scale of a small city, so it’s a good place for us not only to discover solutions that might work but also try them on our own campus,” she told the Foundation.